« What Type of De-Icing Salt is Best for Your Commercial Property? First, you will have to figure out what you want the lighting to do. So, you’ve decided that your yard needs some more lighting. First, you will have to figure out what you want the lighting to do. Do you want to create a soft, romantic mood? Maybe you need more light for safety purposes. Or, do you simply want to show off the gorgeous water features you’ve placed in your gardens? 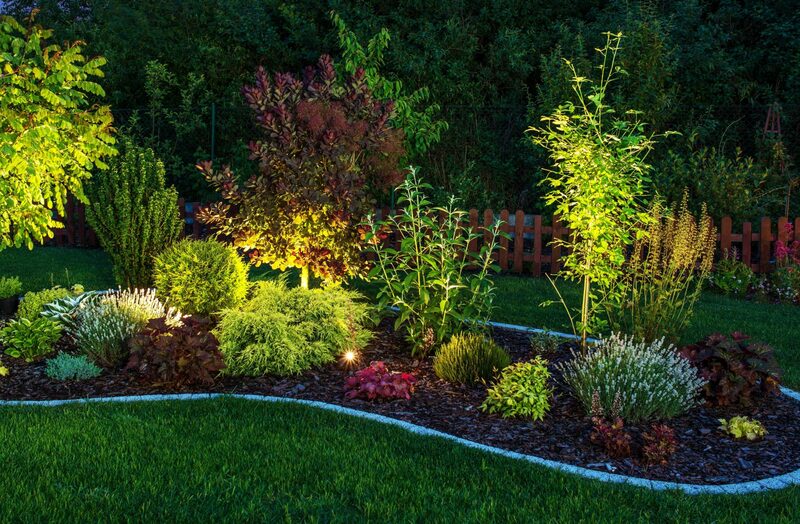 All of these and more are things you can do with your outdoor lighting. Once you’ve figured out what you want the lights to do, you should draw a map of your yard. Be sure to include all plants, trees, shrubs, lights, hardscaping, structures, and anything else that is already in your yard. Many plants will reflect light. You want your yard to be lit up some more, but not so much so that it bothers you inside your home. What Do You Want to Spotlight? After you’ve got your map, figure out the specific features you’d like to show off. It may help you to walk around your yard a couple of times to get a better idea, both in daylight and in the dark. For example: let’s say you’ve got a beautiful pond in your backyard, complete with a small waterfall. There’s a stone path that leads to it, and you’ve placed a comfy swing next to it so that you can relax and listen to the water bubble over the waterfall. You don’t want the lighting there to be too bright, or it won’t be very relaxing. However, you will want enough light to walk out there safely in the dark. Small lights on either side of the pathway should do the trick. You can also illuminate the border of the pond with small, soft lights to make it stand out. This entry was posted on Friday, January 26th, 2018	at 6:29 pm	and is filed under Exterior Lighting	. You can follow any responses to this entry through the RSS 2.0	feed. Both comments and pings are currently closed.